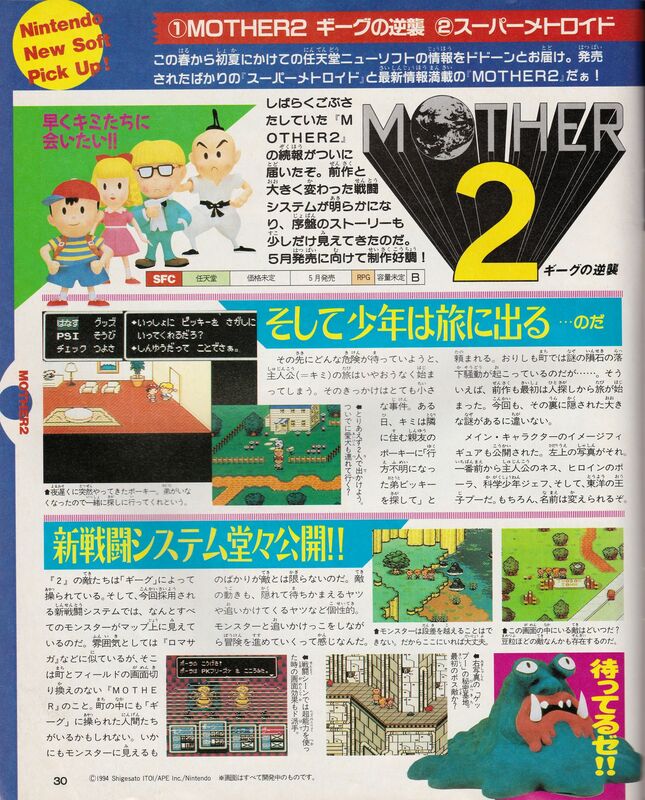 This was from April 1994, about four months before MOTHER 2 was on store shelves. Almost every screenshot has something different or interesting going on: Ness’ house is different, Twoson’s layout is different, etc. One of the big differences that can be seen here is the game’s intro, when Ness, Pokey, and Ness’ dog go investigate the meteorite. Originally, this entire intro portion of the game took place during the day (see here), but someone on the staff suggested making it happen at night just a few weeks before MOTHER 2 was released. And according to this article, MOTHER 2 was going to be released in about a month, but it wound up being closer to four months. From these pictures, I guess a lot of that time was spent adding polish to the game. I’ve been slowly tracing MOTHER 2’s coverage through all these old Japanese magazines. I think the earliest I’ve seen it mentioned was in 1990, but I haven’t gotten around to scanning a lot of the earlier stuff yet. If I do scan any interesting stuff I’ll post it on EB Central for sure. What is up with Paula’s clay model in that picture?! I absolutely love this stuff. 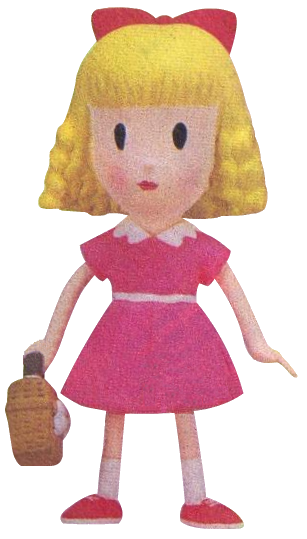 One of the many reasons I really wish we could get our hands on the original Earthbound 64 rom. Love to see what was changed and why it was changed. Also just wanted to say Tomato, Love the cover of your legends of localization Earthbound book. Something about that checker pattern in Earthbound has always stuck with me and it’s an awesome homage. Ah wait – my bad. It’s not a checker pattern. I’m so disappointed in myself. I don’t remember the phone ringing when Pokey is talking. Maybe they deemed the phone ringing to annoying while Pokey is talking at you. Is there any notable text changes? Was there any photos of the earlier part in development before Iwata’s involvement (pachinko health system)? I’m curious to see what he cut and what he brought to Earthbound. There’s a lil’ UFO present in Twoson too.